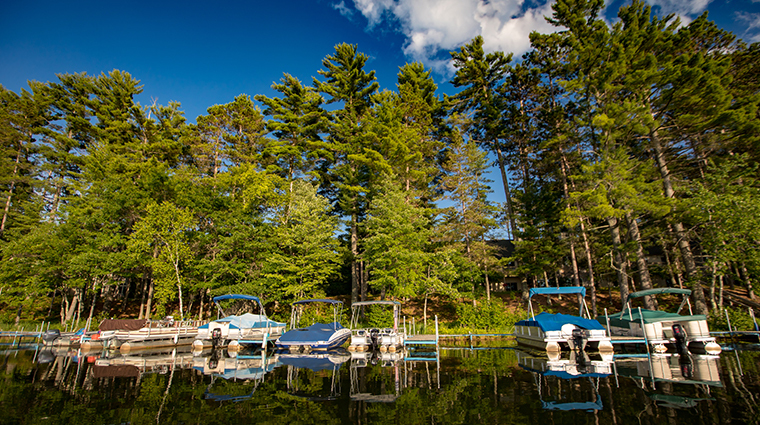 Northwoods Wisconsin has long been revered as an escape for the state’s locals, many of whom pass family cabins down from generation to generation. Although Wisconsin is best known for its dairy cows and picturesque rolling prairies, many out-of-staters remain unaware of the thousands of fish-filled freshwater lakes, 1.5 million acres of national forest, and the lighthouses and sea caves of the Lake Superior south shore comprising the vast, breathtaking expanse known as “up north.” With year-round sporting, supper clubs, lake lodging and boutique artisan shops, this is no luxury hotel or upscale shopping mecca; the serene Northwoods is for serenity-seekers, best enjoyed by fishing boat or bicycle, snowshoe or canoe. Come as you are and leave your “baggage” at home — just be sure to save room for fish fry.